Vermont has a lot to offer for cyclists of all experience levels. For more information about Vermont’s famous mountain biking trails, check out the Vermont Mountain Bike Association or the Western New England Greenway, which connects to the East Coast Greenway and Qubec’s Route Verte. Each of these resources offers a wealth of information about both road, cross country and downhill bicycling. 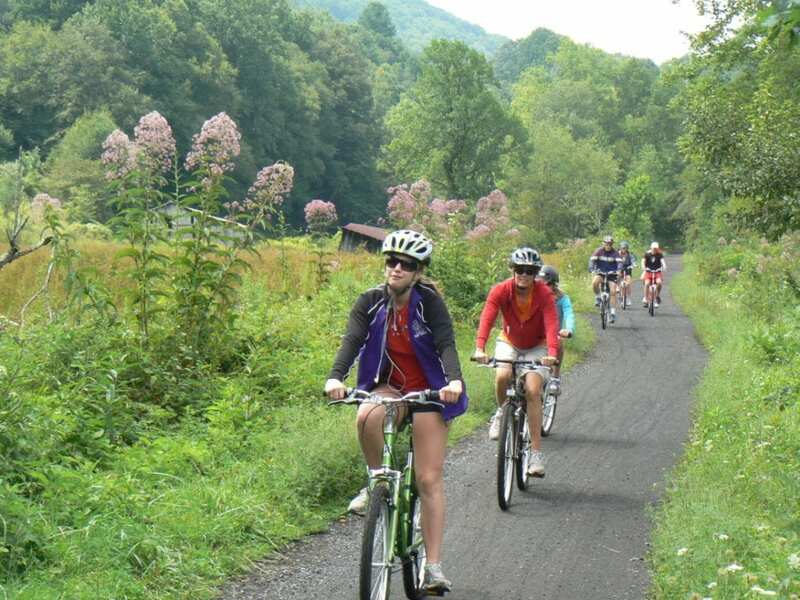 If you’re looking for the most unique and memorable bicycling experience in Vermont, a multi-day trip to East Burke opens up one of the country’s most beautiful and unique network of trails, the Kingdom Trail system. Our favorite Vermont bike trail is the Island Line Rail Trail, one of New England’s most popular rail trails. It strings together a series of waterfront parks and offers beautiful, expansive views of Lake Champlain and New York’s Adirondack Mountains. The best part of the trail is a marble causeway that takes you out over the lake for an incredibly scenic ride. If you know of (or have ridden and created) a more accurate one-way route on RideWithGPS for any of these Vermont bike trails, please let us know so that we can improve this page.